CUT 120! 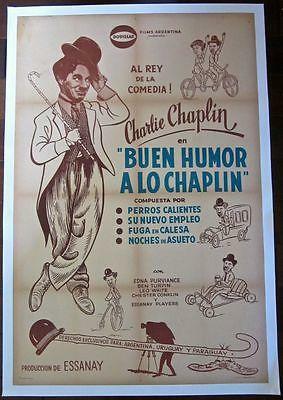 BUEN HUMOR A LO CHAPLIN ARGENTINEAN LB POSTER – COOL CHAPLIN CARTOON! 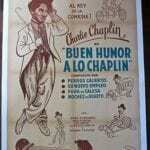 BUEN HUMOR A LO CHAPLIN – ORIGINAL ARGENTINEAN LB POSTER – COOL CHAPLIN CARTOON! And remember, Always Feel Free To Make An Offer On Any Of Our Items! 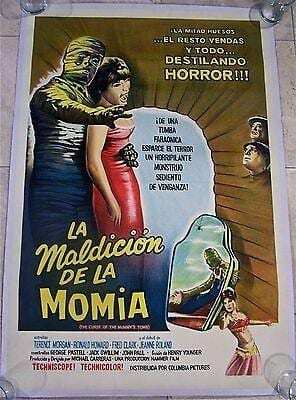 We will be adding new Travel and Advertising posters, as well as great movie posters, including great titles featuring John Wayne, Buck Jones, Orson Welles, Karloff, Steve McQueen, Humphrey Bogart, Marlene Dietrich, Clint Eastwood, Bette Davis, Marilyn Monroe, Horror, Film Noir, Western, Beach and Bikini, and Jungle Movie Posters. Thanks for looking and Good Luck! 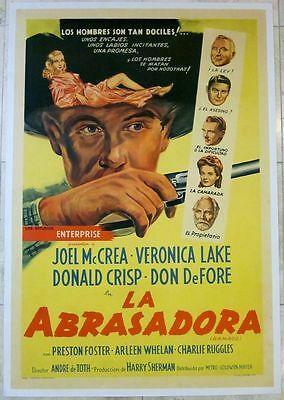 CUT 150$ SUMMER STORM 1944 ARGENTINEAN LB POSTER - ANTON CHEKHOV & ANNA LEE!!! CUT 150$ SUMMER STORM 1944 ARGENTINEAN LB POSTER – ANTON CHEKHOV & ANNA LEE!!! FISTFUL OF DOLLARS - ORIGINAL 1964 ARGENTINEAN POSTER - CLINT EASTWOOD CLASSIC! FISTFUL OF DOLLARS – ORIGINAL 1964 ARGENTINEAN POSTER – CLINT EASTWOOD CLASSIC! REDUCED 133!! 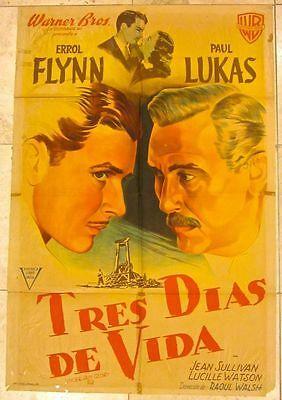 UNCERTAIN GLORY 1944 ARGENTINEAN POSTER RARE ERROL FLYNN ART!! CURSE OF THE MUMMY'S TOMB '64 ARG~HALF-BONE & BANDAGE~ALL BLOOD CURDLING HORROR! CURSE OF THE MUMMY’S TOMB ’64 ARG~HALF-BONE & BANDAGE~ALL BLOOD CURDLING HORROR!